HTC has been around for a long time and is changing. But just before the launch of its new top smartphone, the HTC U12 on May 23, the Taiwanese manufacturer surprised us all with an announcement that no one expected. By the end of the year, the HTC Exodus will be one of the first Blockchain smartphones, made for distributed apps and featuring a cryptocurrency wallet. HTC has always been prepared to take risks. Putting Edge Sense on its latest smartphones, such as the HTC U11, U11+ and certainly on the upcoming U12, was a bit of a risk. So was the sale of part of its smartphone division to Google while still remaining in the smartphone market itself. The Vive was certainly risky in the beginning, especially considering that at that time you couldn't foresee whether it could actually be successful. Well, that's all history, and now HTC is looking forward, well beyond May 23. Last night, HTC announced it is working on a smartphone called Exodus. This is not just another conventional smartphone, but one of the world's first native Blockchain smartphones. 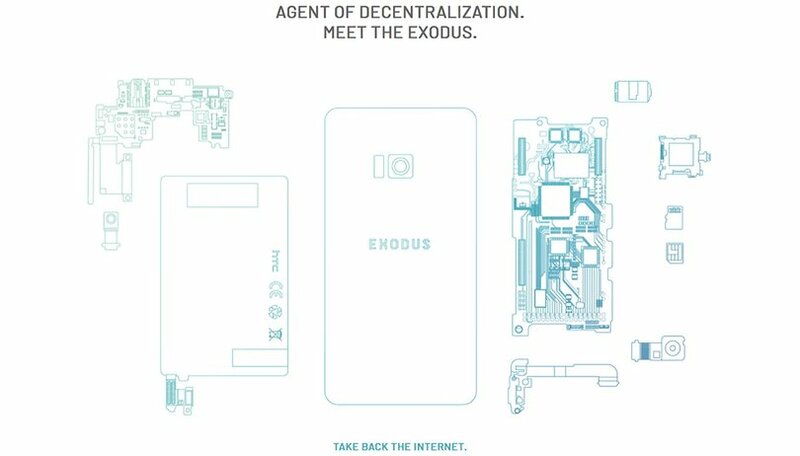 Unlike ordinary smartphones, whose main features might be a high-resolution display, facial recognition or artificial intelligence, the main features of the HTC Exodus are quite cutting edge: decentralized apps (DApps), cryptocurrency wallets for storing Bitcoin, Lightning Networks, Ethereum and Dfinity. Phil Chen will be developing the device. Previously, he co-developed the Vive VR headset, and is responsible for the company's blockchain efforts. HTC has rivals the race for the world's first Blockchain smartphone. Huawei said at the end of March that it is working on a similar smartphone and are in talks with SirinLabs to use SIRIN OS as the operating system. Also SirinLabs itself has announced a Blockchain smartphone, which is still to be developed and manufactured by Foxconn. While the two smartphone giants HTC and Huawei don't yet mention a target price range for their blockchain smartphones, the "Finney" smartphone from SirinLabs and Foxconn is said to cost around $1,000. HTC is taking a risk with the Exodus, but the Taiwanese company has never shied away from risk. What do you think of the idea behind the Exodus smartphone? Are you a fan of cryptocurrency?